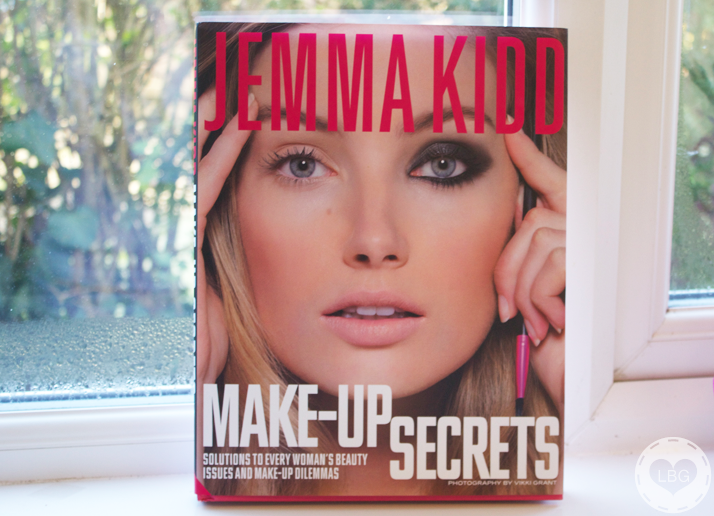 This is the Jemma Kidd Make-Up Secrets beauty book, which is packed full with invaluable information, tips & tricks from the one and only Jemma Kidd; I’ve heard so much about her previous book, Jemma Kidd Make-Up Masterclass, so I was well happy when I got this book and here’s the lowdown! The book looks beautiful; it has a bright pink hardcover and a dust jacket to protect it. Despite being a really useful book to read, it also looks great as a decorative piece. Jemma divided the contents into two parts: Part 1 – Making Make-Up Work For You, and Part 2 – The Problem Solver. 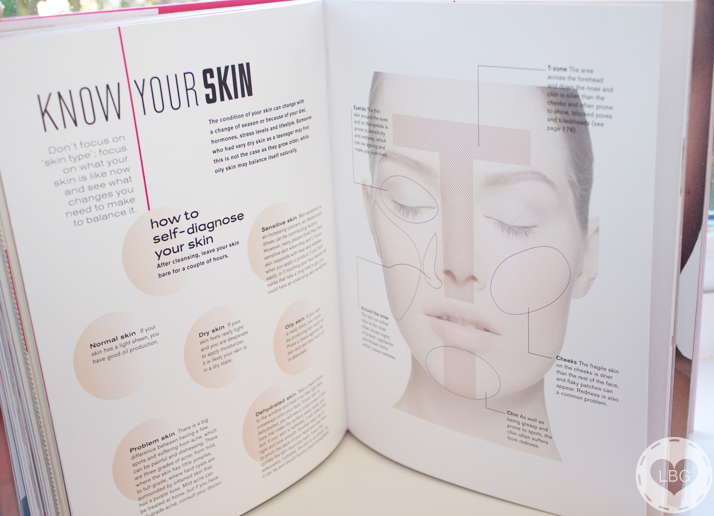 In Part 1 of the book, Jemma teaches how to accentuate our best features, how to look after our skin according to our skin type and what are colour correctors and concealers. She also gives a very comprehensive guide to foundations and blushers, describing all formulas & finishes, how to pick a colour and how to apply it. 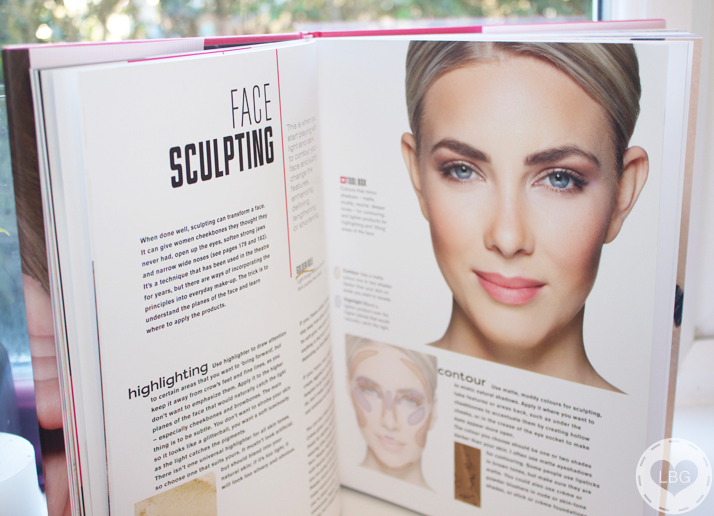 One of my favourite sections of Part 1 is the ‘Face Sculpting’ lesson on pages 26 and 27; you all know how obsessed I am with contouring and highlighting, and Jemma gives some amazing tips, including a guide to which colours to choose based on your skin tone, and a full face chart showing where to apply blusher, highlighter and where to contour. 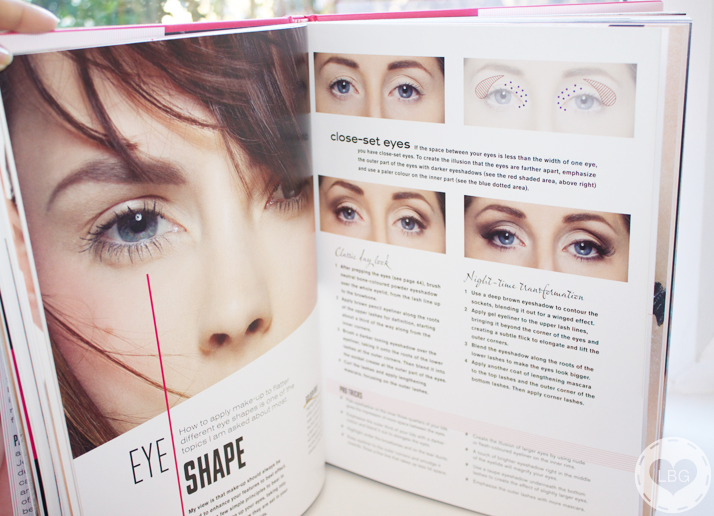 The book has a very rich section focused on the eyes; first, Jemma describes the most common eye shapes and shows us what kind of makeup suits each shape best. 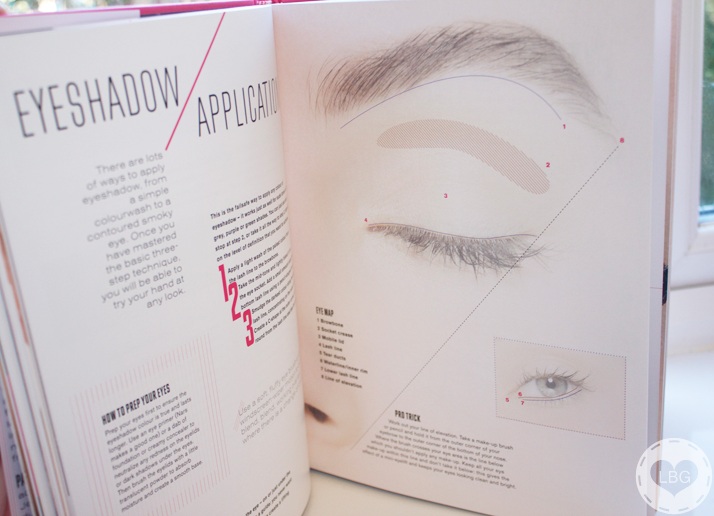 If you find doing your eye makeup a very daunting task, in this book you will find a very handy eye map (page 45), which helps you find things like your socket crease, waterline and line of elevation. Moving further on in the book, you will find an eyeliner masterclass, illustrated tips on how to get the perfect brow shape and how to find and accentuate your lip shape, how to do a smokey eye, how to create eye makeup looks using colours and how to pull-off catwalk trends. 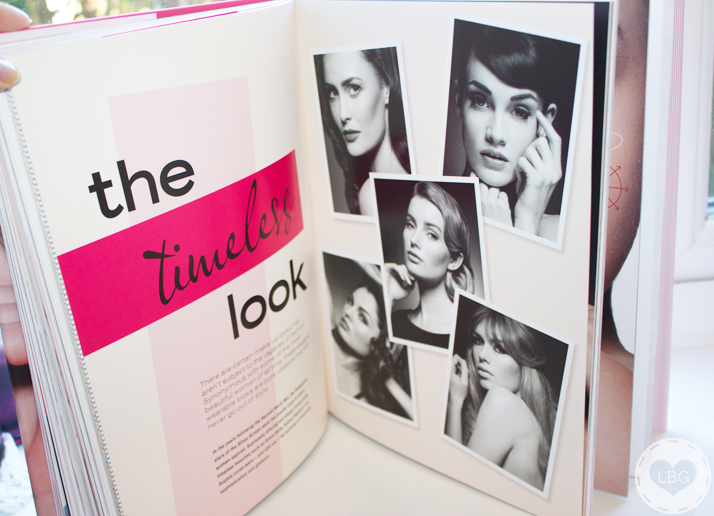 To finish off Part 1, Jemma Kidd teaches how to recreate several timeless looks from beauty icons, such as Sophia Loren, Audrey Hepburn And Brigitte Bardot; this is my favourite part of the whole book! In Part 2, Jemma talks about some of the major beauty concerns and the most frequently asked questions from all her years in the beauty industry. She starts by encouraging us to know our skin with the help of a face diagram pin-pointing the most problematic areas of the face. 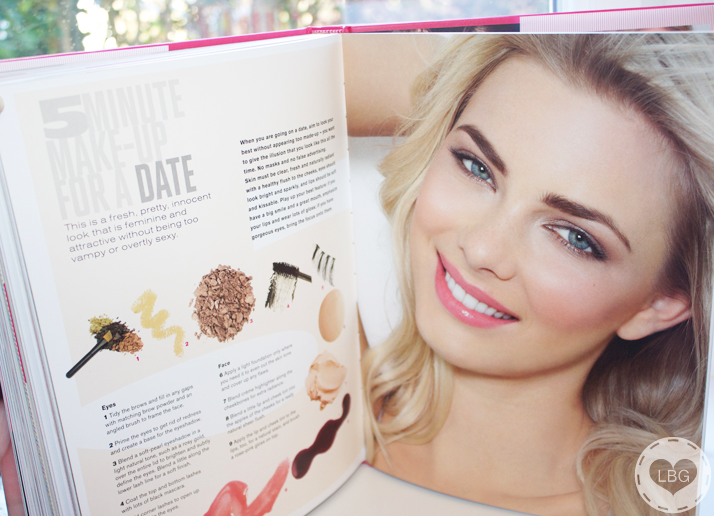 One of my favourite sections of Part 2 is when Jemma, with the help of her skincare guru Sarah Chapman, tells us what are these funny-named ingredients that we often see on the back of skincare products, such as Hyaluronic Acid, Antioxidants, etc., what they do and whether or not they work. Other beauty concerns covered on this book include how to deal with dry patches, how to disguise dark circles and eye bags, how to treat chapped lips and age spots and how to wear makeup to compliment your skin based on your age group. 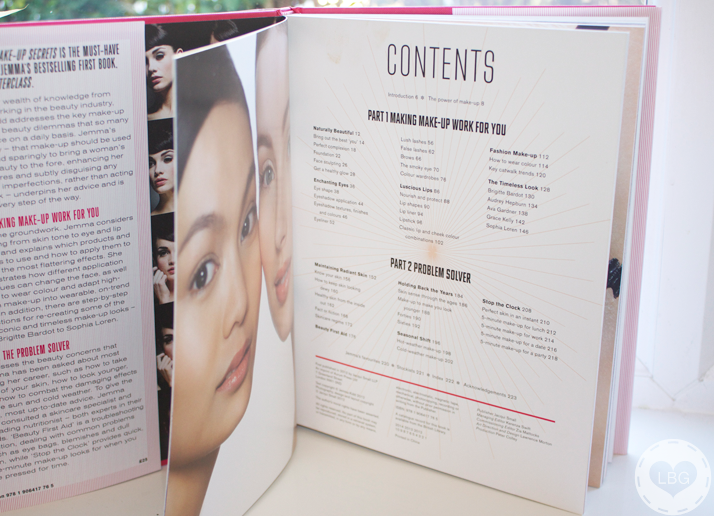 The last few pages of the book are dedicated to makeup tutorials. It includes Hot and Cold Weather makeup tutorials and a bunch of 5-Minute Makeup looks for a date (my personal favourite – I have to recreate this look! ), for work, for lunch and for a party. Overall, I highly recommend this book if you’re into beauty, even if just a little bit! If you’re quite advanced with your beauty knowledge, this book will give you tons of inspiration, and maybe you’ll learn a thing or two that you didn’t already know. If you’re a beginner this book will be most helpful to you because it takes you through all the basics using a very easy to understand language. It has great photography and illustrations to help you do everything yourself and I love that Jemma included content which appeals to all ages! wow… I’m liking it already. I bought the Bobbi brown one but its not that impressive…. Seems like a good book to have. Lots of usable tips! I really want this book *adds to wishlist* !